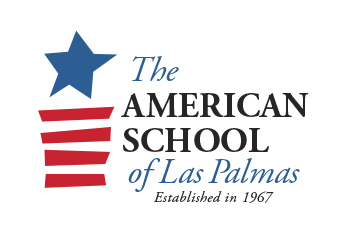 I consider it an honor to be part of the American School of Las Palmas. On behalf of Consultora Educación y Sistemas, I welcome you to the new school year 2018-2019, and a new era. The campus transition is already evident, I hope in many positive ways, but the School’s mission, values, traditions and history will continue to provide our foundation for moving into the future. I want to express my sincere gratitude to all of you—students, families, and faculty and staff—who have dedicated years of hard work and strong commitment to establishing ASLP as one of the most prestigious schools on Las Palmas de Gran Canaria. The legacy of your efforts provides the framework upon which we can move forward successfully in changing times. The School is committed to academic excellence and encourages the students to participate actively in the learning process. We promote intellectual curiosity, through investigation and research, and the use of critical thinking skills. We celebrate tolerance and mutual respect, as well as the diversity of cultures, thought and beliefs among the students. Our aim is to form young people who are independent and confident and take responsibility for their education and the future of our global world. Small classes allow for a student-centered education and individualized learning. Supportive, close-working relationships with the teachers as well as collaborative group efforts, promote ongoing personal growth of the students at all levels: intellectual, creative, social, physical and emotional. Community involvement projects broaden the students’ understanding of the community, both locally and internationally. They are expected to extend their education by participating in different initiatives at the School such as M.U.N. (Model United Nations) and the first Eco-school in the Canary Islands. Extra-curricular offerings complement their athletic, artistic or cognitive development and reinforce skills such as team unity, cooperative learning and personal responsibility. Our faculty share this desire to learn, grow and develop. The teachers are committed to their fields of study and are expected to be aware of new trends and tendencies in education. Professional growth plans are in place to facilitate the incorporation of emerging technologies and digital resources into educational practices. Parents are an integral part of ASLP; working closely together is fundamental to the healthy development of future generations. 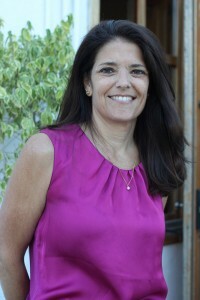 Regular communication and coordination will ensure personal growth and success for our students. New organized and efficient systems will increase and standardize contact with the families. School year 2018-19 is full of change, excitement and new initiatives. Technology will be integrated into all subjects, curriculum planning will be aligned with recent tendencies in United States and new administrative systems will allow the American School of Las Palmas to progress and succeed in a highly competitive educational world of today. I am available to all stakeholders of this great school and I invite you to let me know your questions, comments and suggestions. It will be a great pleasure for me to work with you in the coming year.